Ah… what a week this has been! I have spent more time dealing with the Medical Industrial Complex than I would prefer – but – so far, all is swell. My latest foray was to an urgent care center this morning to have a splinter taken out of my big toe. I had thought it was a blister and let it go for a few days. Today, it was not getting better. We both looked at it and off I went. And… we’re more than 25 pounds free – each of us! Not quite 26, but more than 25. It’s a victory, indeed! It’s quite amazing that our weight loss is so ridiculously the same. We do eat the same dinner, but our breakfasts and lunches are totally different. I’m definitely not complaining. I just find it interesting. I have been remiss in posting dinners, this week. Tonight, while I was playing with a new hard drive for my computer, Victor cooked dinner. He did a pork tenderloin with butternut squash, apples, and rice. Awesomeness on a plate! 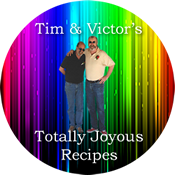 He cut the tenderloin into cutlets, pounded them, and then lightly fried them. He roasted the butternut squash, then added it with rice to a pan, added chicken broth, laid the pork on top and the apple slices on top of it. Let it simmer on the stove for 20 minutes. 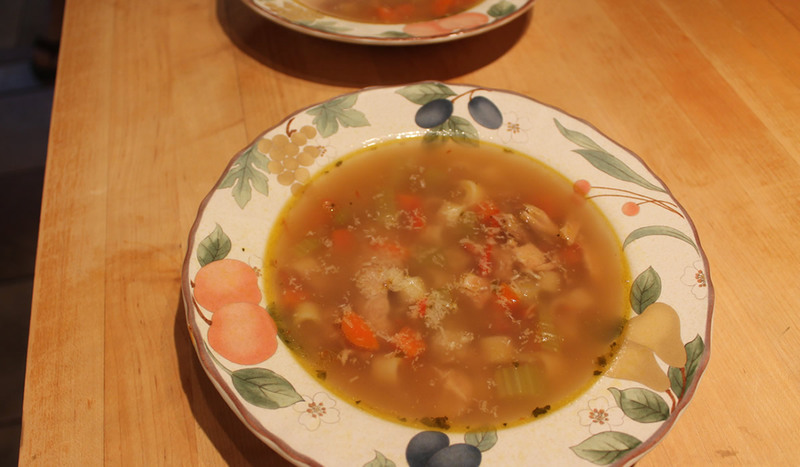 Yesterday, he made a big pot of chicken soup. The perfect fall item to have in the ‘fridge. This will be lunch for a few days! 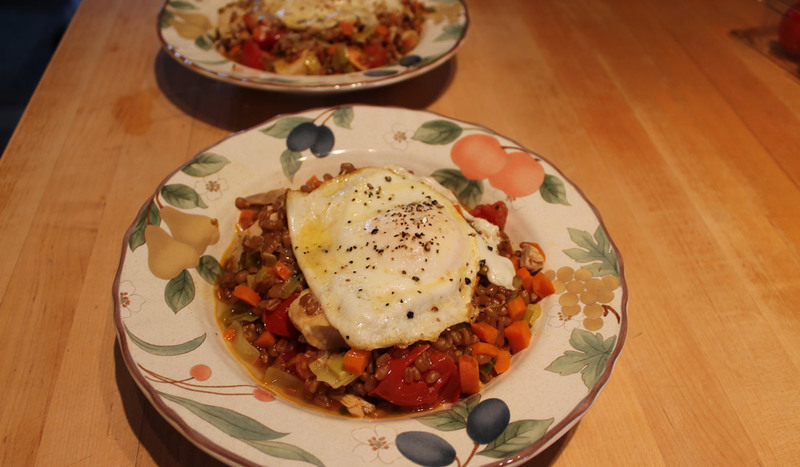 Prior to that, I made a chorizo and chicken dish with lentils. I then put an egg on top. Nice and spicy. 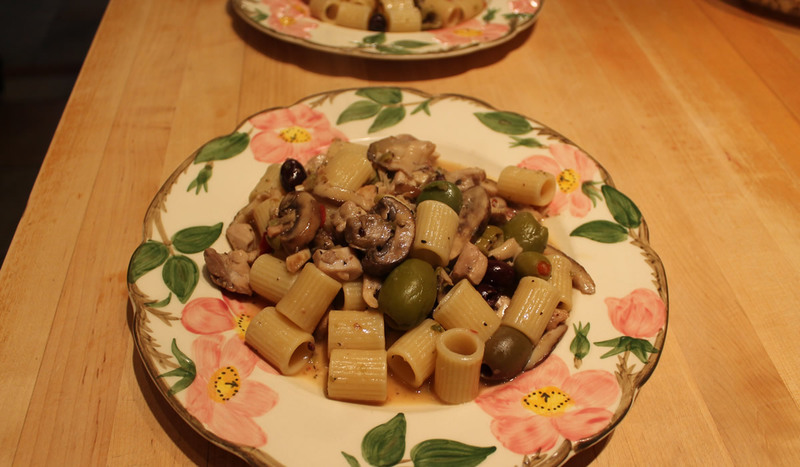 And we can’t forget the chicken, mushroom, and olives with rigatoni.